They’re at school, the year is young and for now, the trusty sandwich will do its job. You’ll have to get a whole lot more creative as the year goes on as kids are notorious for tiring quickly of boring basics. I’m afraid the sandwiches began to return uneaten in our house about April last year as I watched my once chubby toddler turn into a stringbean five-year-old with zero body fat. Now, as he starts Year One I find myself searching for ideas to inspire his appetite and it’s lucky there are some books on the market which are aimed at parents just like me! 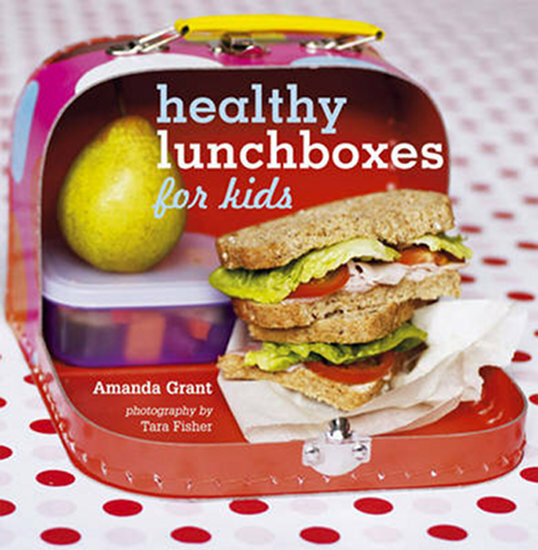 First up is Healthy Lunchboxes for Kids (above – $15.95) by Amanda Grant. Reinvent those dull sandwiches, make hearty soups and provide the snacks kids love without sacrificing nutrients, and everyone will be happy! 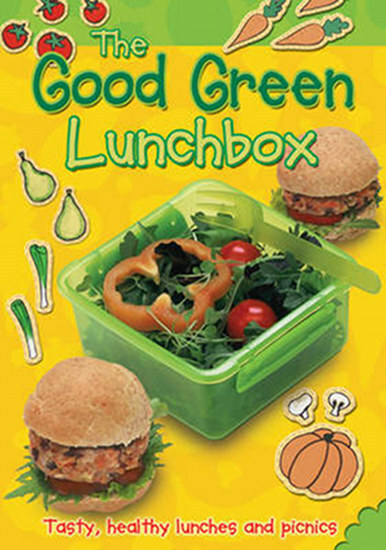 The Good Green Lunchbox: Tasty, healthy lunches and picnics ($14.99) delivers an ‘eco-makeover’, with emphasis on waste-free packaging and the ethical consumption of ingredients. 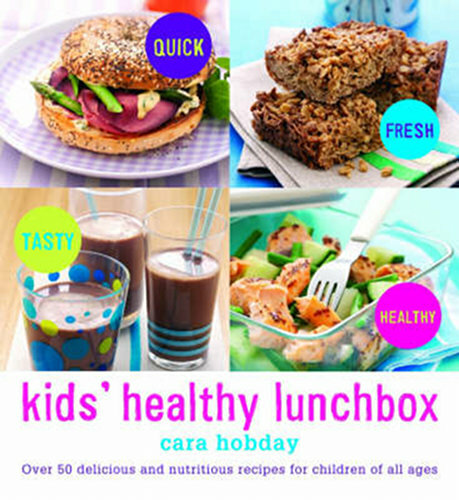 Kids’ Healthy Lunchbox by Cara Hobday ($11.97) will be joining our household shortly. Packed with over fifty ideas to keep your kids riveted to their lunch boxes, there are sandwiches, wraps, snack and cakes and for those who are old enough, inspiration for them to pack their own lunches! Fancy that! 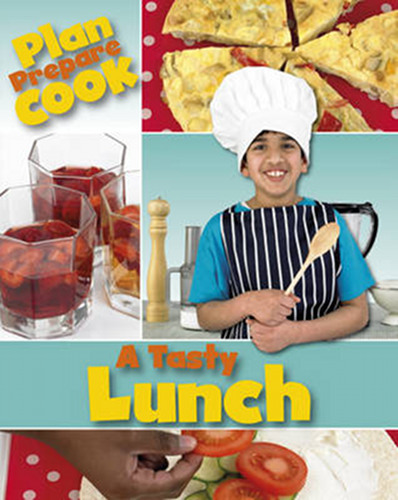 A Tasty Lunch: Plan, Prepare and Cook ($20.95) will be available from 10 March and is for older kids who are suited to making their own lunches. My friend has a very talented twelve-year-old daughter who cooks family meals on a regular basis and I can imagine her using this one! My youngest is a very tricky customer when it comes to food and I suspect that by the time he goes to school, I will be reaching for this particular title. 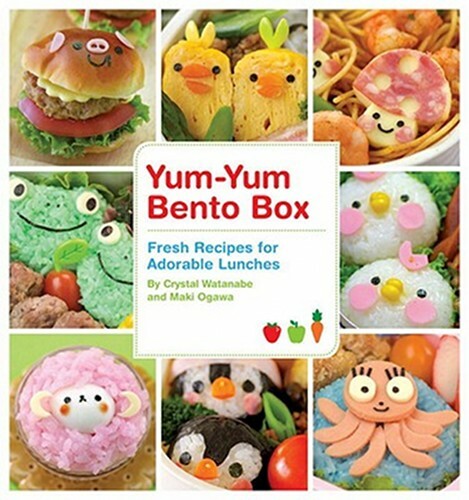 Yum-Yum Bento Box; Fresh Recipes for Adorable Lunches ($15.99) is for those who love perfect food and want to create little works of art for the school lunchbox.